n. pl. pl. of cow. 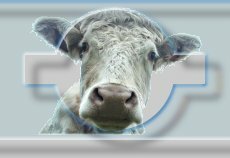 Welcome to the official site of G-Cows, the implementation of a simple scripting language for web content management or *BSD and Linux systems. You'll find basic concepts about G-Cows, documentation, links for downloading source code and compiled packages for FreeBSD and various Linux distributions.